Join us for an evening of discussion with Aziz Choudry and Eveline Lubbers, editor of and contributor to Activists and the Surveillance State: Learning from Repression respectively. We will hear about the surveillance, harassment and infiltration directed against activists, organisations and movements, and what we can learn from this. 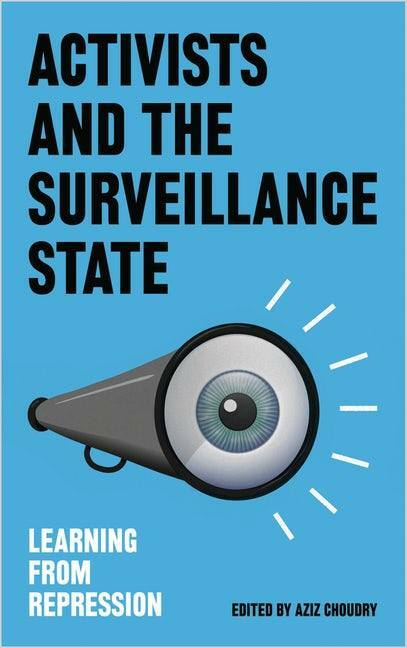 Copies of Activists and the Surveillance State: Learning from Repression will be available for purchase at the event. Aziz Choudry is Associate Professor in the Department of Integrated Studies in Education at McGill University and an activist with the Immigrant Workers Centre in Montreal. He is author of many books including Learning Activism (University of Toronto Press, 2015), Just Work? : Migrant Workers’ Struggles Today (Pluto, 2015) and Reflections on Knowledge, Learning and Social Movements – History’s Schools (Routledge, 2018).